The Wave came up with the first win on their home turf in front of a crowd of 2,218 at UW-Milwaukee Panther Arena, posting an 8-4 victory in Game 2 of the Eastern Conference finals to force a tiebreaker to determine the series winner. Milwaukee controlled play throughout the decisive 15-minute mini-game, but fell behind on a deflected shot early in the session. Veteran Marcio Leite pulled the home side level with just 1 minute, 41 seconds remaining, but Tony Donatelli came up with what proved to be the winner 38 seconds later as the reigning MASL champion Blast held on for a 2-1 victory to advance to the Ron Newman Cup finals. "It's tough right now to swallow this loss," said Wave defender Drew Ruggles, whose team suffered all three of its postseason losses by one goal. "We've worked so hard since Day 1. It was never easy. We knew that we were going to have to work hard and bring it every day, and we tried to do that. Credit to Baltimore, they have a game plan and they stick to it. But, man, this team has been something really special. No regrets." Andrew Hoxie gave the Blast (18-8) the lead 2:47 into the mini-game, when he worked past two challenges near midfield, broke in on the right side and fired a shot that deflected off the outstretched leg of Milwaukee defender Daniel Mattos and rolled past Wave goalkeeper Josh Lemos, just sneaking over the goal line. With the lead, Baltimore dropped back and was content to defend and Milwaukee dominated possession. But the Wave, without MASL assist leader Max Ferdinand after the influential midfielder took a ball to the face just before Hoxie's goal, couldn't break through against Blast keeper William Vanzela until Leite's late, left-footed shot from the D.
Moments later, though, Vanzela played a cross-field ball from midfield to Vinicius Dantas in the left corner. Dantas played a ball off the end boards for Donatelli, who slipped as he shot with his left foot but managed to beat Lemos to the near post. Soles de Sonora (20-3), who were swept by the Blast in last year's MASL finals, lead the Western Conference finals after a 7-3 victory over the San Diego Sockers (16-8) on Sunday in San Diego. Game 2 and the mini-game tiebreaker, if necessary, are scheduled for Saturday in Hermosillo, Mexico. Ruggles provided a huge early spark for the Wave (16-10) in Game 2, scoring three goals in a 1:54 span in the first quarter. The defender finished with six goals in six postseason matches after scoring four times in 18 regular-season games, and his nine points in the playoffs matched his total for the regular season. Baltimore pulled as close as 6-4 in the opening minute of the fourth quarter, but Leite set up Andre Hayne's goal and then scored one of his own against six attackers to seal the victory and force the Game 3 tiebreaker. Ian Bennett had two assists in the Game 2 victory, but was held without a goal on the night – he had scored in each of Milwaukee's first 24 matches. Bennett finished the season with 61 goals overall, including an MASL-best eight in six playoff games. 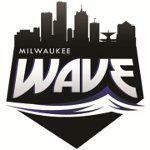 The Wave are 716-496 overall in their 33 seasons, including a 658-447 record in the regular season. They averaged 3,794 fans for their 10 regular-season home matches, and 2,783 fans for four playoff games at UWM Panther Arena.